Jose Mourinho turned his fire on Paul Scholes after his Manchester United side got back to winning ways at Everton. The Old Trafford boss has been angered by recent comments from former United midfielder Scholes claiming record signing Paul Pogba was "just strolling through games". Pogba first responded on the pitch by producing an influential second-half display as United won 2-0 at Goodison Park on New Year's Day. Mourinho then took his opportunity to hit back at Scholes, who made the remarks in his role as a TV pundit. Mourinho said: "I think the only thing Paul Scholes does is to criticise. I don't think he comments, he criticises, which is a different thing. "Paul tries to do his best all the time and sometimes he plays very well. Sometimes he doesn't play so well. "It's not Paul's fault that he made much more money than Paul Scholes. It's not Paul Pogba's fault. It's just the way football is. "But I think Scholes will be in the history (as) a phenomenal player, but not as a pundit. I prefer to look at him as a phenomenal player that gives so much to the club I am proud to represent. "If one day Paul decides to be a manager, I wish he can be 25 per cent as successful as myself. Fifty per cent is 12-and-a-half silverware, 25 per cent is around six (trophies). If he is 25 per cent, he will be quite happy." 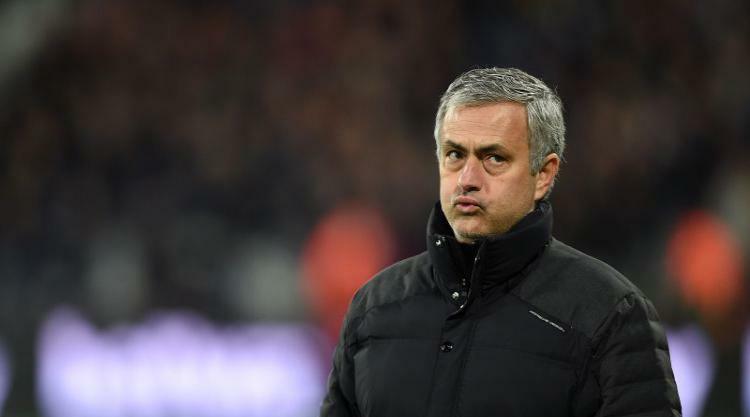 Asked if he was frustrated by the number of high-profile ex-United players working in the media, Mourinho said: "I think they would love to be here, in the club. That's a problem that I cannot resolve." While describing his side's performance at Everton, Mourinho also took a verbal swipe at other critics he called "the kings of rock and roll". It was not clear who he meant, but it was possibly a reference to Noel Gallagher, the rock star of Oasis fame who is also an outspoken Manchester City fan. Gallagher was a guest TV pundit at last month's Manchester derby and has given a number of other interviews recently, some critical of Mourinho. Mourinho said: "The performance was really good, so maybe I'm lucky this time and the kings of the rock and roll that said I was under-performing last match maybe will say this time I performed." Pogba came to the fore as United upped the tempo after a dull first half to win with superb strikes from Anthony Martial and Jesse Lingard after 57 and 81 minutes respectively. Pogba had a hand in both goals.